We’ll be pressing a limited amount of T-shirts designed by the poster author Iza Koval. 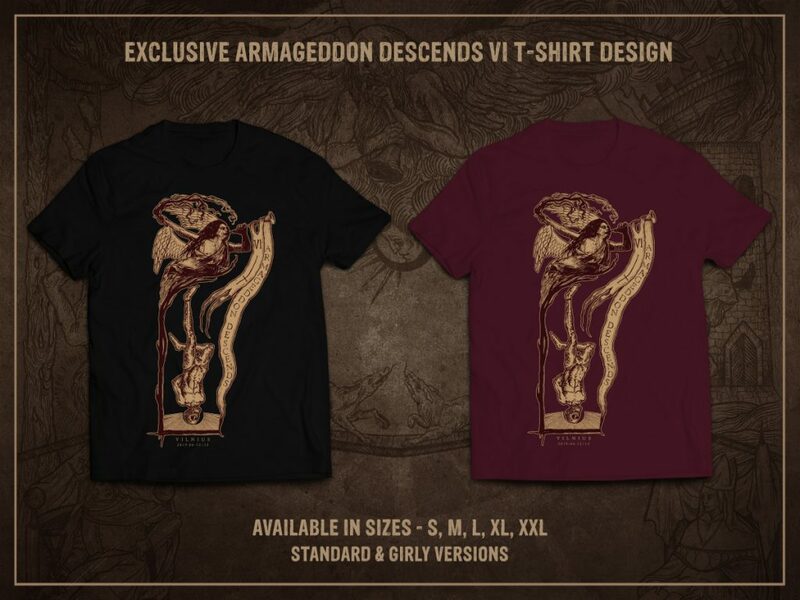 Design will be pressed on two colours – black and burgundy. You will find them during the event for 12 EUR or you can pre-order for 10 EUR, while ordering tickets. If you have already pre-ordered tickets, and want to add t-shirt to your pre-order, write an e-mail to nekrokatarsis.tickets@gmail.com specifying “AD Shirts” in the title with colour (black, burgundy), size (S, M, L, XL, XXL) and design (regular, girlie) in the content. You’ll be able to pick the shirts up during the festival. Time for pre-orders is limited so hurry up!